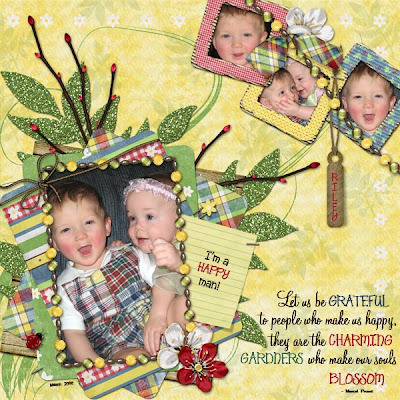 Bon Scrapatit Designs: IT'S FANTABULOUS FREEBIE FRIDAY AT BON SCRAPATIT DESIGNS Y'ALL!!! WOO HOO!!! 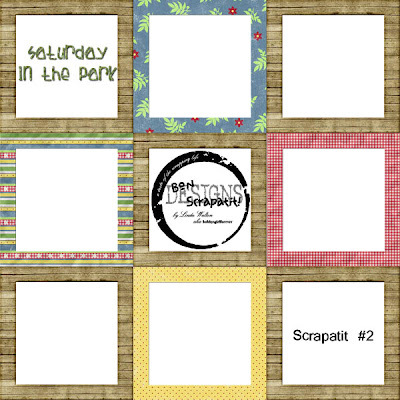 IT'S FANTABULOUS FREEBIE FRIDAY AT BON SCRAPATIT DESIGNS Y'ALL!!! WOO HOO!!! ROFL! Sorry to enter laughing, but as I was typing the title of tonight's post, I had to chuckle just a wee bit as EVERYDAY is FFF!!! Well, pert near anyhoo! However, as not to JINX myself, I shall leave it as it is! How's everybody? Glad the week is over? Plans for the weekend? Come on now, give it up! Who is going somewhere with the family? By themselves? Wouldn't a weekend solo retreat be WONDERFUL??? I could really use one of those right about now. I knew a fellow "mom" many years ago who made arrangements once or twice a year to rent a motel, cabin or room near the ocean for a weekend of reflection and for some peace and solitude. I think it's a GOOD thing for us to rejuvenate. I suppose I could just sit in front of the monitor and veg, eh? LOL! Hey mom, whatcha doin'? I'm rejuvenating my mind! Sitting here thinking about NOTHING! Yeah, right! That'll be the day! My mind works overtime I tell ya and my kiddos already think I'm CRAZY for spending so much time here!!! Kinda funny how they NEVER happen to notice that the dishes have been washed, their mess cleaned up, the animals have been fed, etc.!!! Yes, I do have a life away from the computer - for a few minutes everyday!!! ROFL! Today was GORGEOUS here in Northern California and I made my phone call to Ms. Carole and sat outside in the sun! It felt WONDERFUL as I am ALWAYS so cold in the house, but it warmed up to nearly 80 degrees today! I am NOT looking forward to the triple digit temps we get throughout much of the summer!!! Hmmm ... wonder if I can boycott the weather! LOL! Yeah, I know .... chances are slim to none! I'm a little surprised that NO one shared who their inspirations have been in life!!! I know you've had AT LEAST one!!! PLEASE share! I've had quite a few actually. I have had a few "surrogate" mothers in my young adulthood! Wonderful women who were put into my life to help me get on my feet and to stay fairly grounded all things considered! Women whom I shall NEVER forget and am FOREVER thankful for. Since it IS Friday night, my post will be short as I head to beddy-bye for a GOOD night's sleep so that I can dive bomb (now there's a visual for you!!!) into Photoshop tomorrow and get some serious work accomplished!!! Hopefully, the house will remain quiet and fairly calm so as not to get me sidetracked a zillion times!!! Well, I just have to show you what I did with last night's scrapatit!!! You'd almost think this kit was made to order for the photos of one of our grandsons (Robert's side), little Riley who is nine months old here!!! Isn't he just SO sweet??? And don't you just want to kiss those ROSY-RED cheeks??? Sure wish I could. We SO look forward to getting to meet him soon. It is KILLER not being able to bond with a grandchild from the get-go. Have a SUPER Saturday y'all and I hope you like tonight's scrapatit! It's a little different, but thought it would go well with the first one and I've left it blank so that you can EMBELLISH it to your liking. If any of you wish to have one that is already embellished, raise your hands high and if I get a GOOD count, I'll add one tomorrow or before the weekend is out! Remember y'all .... it's SCRAP HAPPY HOUR 24/7 in SCRAPLAND!!! I will work on getting newer photos of Kaleb up tomorrow. Just have not had a moment to do so yet! He's already growing like a little weed!!! ROFL! Well, I haven't seen him in two days and to me, he will have! Layout by MOI using my *Saturday in the Park* freebies! MIGHT IT BE A WACKY OR A WONDERFUL WEDNESDAY??? BABY KALEB AND ANOTHER SCRAPATIT FOR Y'ALL!!! BON SCRAPATIT Y'ALL - IT'S FREEBIE TIME!!! TUESDAY'S TERRIFIC TREAT HAS ARRIVED!! !